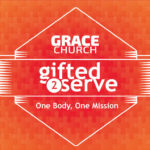 Last week we continued in our series Gifted 2 Serve and we began looking at Romans 12 where the Skill Gifts are listed. Remember there are 3 different types of gifts listed in scripture. There are the people gifts in Eph 4. There are the skill gifts listed in Romans 12 and there are the manifestation gifts listed in 1 Corinthians. Also remember last week we saw that the motivation for our service is the Gospel. What is the Gospel again? It is because of the gospel that we present ourselves physically as living sacrifices to serve God with the skills of He gives to us to fulfill the calling that Christ has given us in Ephesians 4. Before we go into Romans today, let me tell you about an example of how this works that happened this week. As I have said before I am not a natural evangelist. But Micheal is so here is what happened. We were doing the basketball outreach this last Wednesday, and we were having a great time. We had a new guy come play basketball with us. At the end of the night I was taking to Him and was taking him for coming out and playing with us. I started asking him about himself and where he lives. Just showing care and concern for him. Then Micheal walks us and starts asking Him hey do you go to church anywhere? I looked over at Mike and thought why didn’t I think to ask Him that. Next thing you know Mike is inviting Him to come to church on Sunday. See how that works? Each of us have different giftings and ways of looking at the world. I was not wrong Mike was not wrong we were just different. But when we come together of a common goal we can see God move in the way He wants. Lets look today starting in verse 3. Paul says it is by the grace God has given Him, that he calls us to to use the gifts and faith that God gives to us. Then once again Paul turns to a familiar theme just as he did in Ephesians 4 as soon as the idea of gifts comes up there is a warning to make sure we look at ourselves properly. That we approach using our gifts in humility. That because God does something in and through us that we do not get puffed up and think that it is because we are something special, that we somehow bring anything to the table. Instead we need to look at ourselves and how we serve God as the gift that it is. As we do that we recognize that even our faith is give to us by God. When was the last time you prayed “God give me more faith?” God would you allow me to trust you more so that I can serve you more fully? Would you allow me to step out of my comfort zone and give me the faith to pursue what you desire for me to do. Next week we are beginning Mission’s Emphasis Month. Some of you have a special calling on your life to serve as a missionary. But many of the missionaries I know would tell you the same thing. I took faith for them to step out and become a missionary. It does not come easy to follow God wherever He says to go. It takes faith. For just as each of us has one body with many members, and these members do not all have the same function, 5 so in Christ we, though many, form one body, and each member belongs to all the others. 6 We have different gifts, according to the grace given to each of us. This is an important passage for us to understand. Each of us plays a part in God’s plan. As you look at the graphic we used for this series we used the imagery of a puzzle. A puzzle is not complete without all the pieces in their place. Each piece has a special function to complete the picture in a different way. When we look at 1 Corinthians we will see this same idea repeated where Paul tells us the eye cannot say to the hand “I don’t need you”. We form 1 body and we all need each other to complete what God intends. We have different gifts, and the gifts we have are given to us by God for our specific purpose. God apportions them in His way for His purpose. It is God who decides what skill gifts we need and when we need them. Have you ever looked at someone else’s gifts and said boy I wish I had that? I have! Here is the problem with that, When we look at what someone else has as a gift, and we wish we had that, what are we doing with the gifts God has given us? Here is a secret in Luke 16 Jesus tells a parable of the shrewd manager. And he gives us a principle of life. If we are faithful with the little we are given God will give us more. But if we squander what little we are given then He will take it and give it to someone else. The key to receiving more gifts from God to fulfill His purpose in our lives is to be faithful to use the gifts He gives us to honor Him. So how do we do that? Paul goes on to explain. Before we get into the details of this list there are a few things I believe about this passage. 1. this is not an exhaustive list of ALL the skill gifts that God gives. He is not trying to make a checklist of every gift. 2. God list these few as examples of how we are to use our gifts to glorify Him. 3. Anything God has made you good at is a gift from God to you to be used for His service. Col 3:17 says… And whatever you do, whether in word or deed, do it all in the name of the Lord Jesus, giving thanks to God the Father through him. If we treat this as an exhaustive list of God’s gifts we will miss the bigger picture of the context of what He is saying. See what He says, if your gift is prophesying then prophesy “IN ACCORDANCE WITH YOUR FAITH”. What does that mean? in order to understand that we must define terms. What is faith? Let me give you a simple but powerful definition of Faith. “Believing in and Acting on what God has said.” Faith requires action! Faith is measured by faithfulness! This goes back to that idea of the shrewed manager. When we are FAITHful with the gifts He gives us, He gives more. So what is prophecy? We went over this in Eph. but the idea is not telling the future as much as it is telling the truth of the Gospel. But catch this, if your gift is prophecy, then prophesy what you have put into action in your life. This is where many people get into trouble. They speak about things and truths that they have not really applied to their own life, and then they wonder why there is no power. So what is Paul saying, don’t preach it until you live it! This is a pattern that He is going to continue, with each of these. If your gift is serving, then do it, SERVE don’t just talk about it. Look for opportunities. If your gift is teaching, don’t just sit there find a place and opportunity and begin teaching. If your gift is encouragement, when I bring someone to heart encourage them. If your gift is is giving, be generous find as many and as much opportunities to exercise your gift. If it is to lead, then be passionate about leading. If you are gifted to show mercy, be happy to show mercy. There’s an old saying I grew up with, I did not grow up in the south so I have no idea why i knew this saying but the saying is this “ALL HAT NO CATTLE” the idea is someone who talks a good game, looks the part, Has the cowboy hat, but doesn’t have any cattle. Too many Christians are “All Hat, No Cattle” They talk a good game when I comes to Sunday morning, but they don’t back up their talk with action. The book of James is all about this concept. Faith without action is dead. Paul might have summarized it this way… Gift’s without service is worthless! 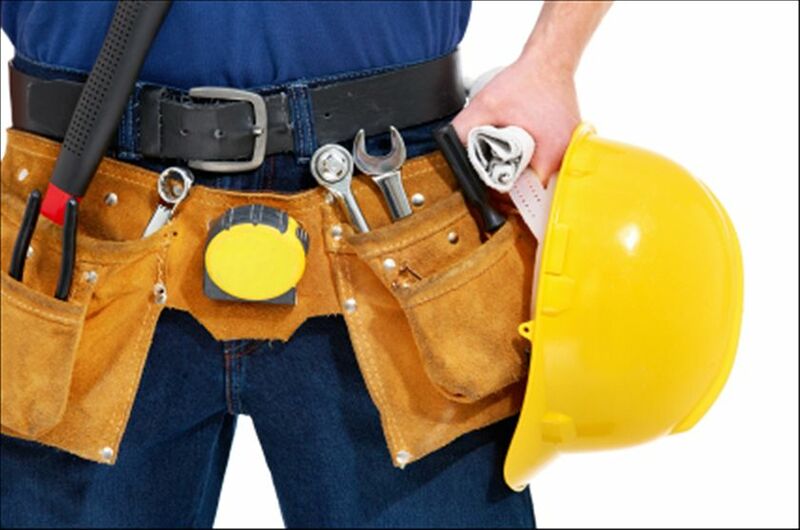 Paul calls us to faithful service with the things God has gifted us to do. What are those things? Maybe you can sing or play and instrument, Maybe you can lead worship, Maybe you can sew, Maybe you can play with kids, Maybe you can play a sport, Maybe you love to throw parties, Maybe you are a born salesman, Maybe you love to post stuff on facebook, maybe you can …. you fill in the black. How can you use that to bring Glory to God? As we close up this morning I want you to hear how this passage sounds in the Message.